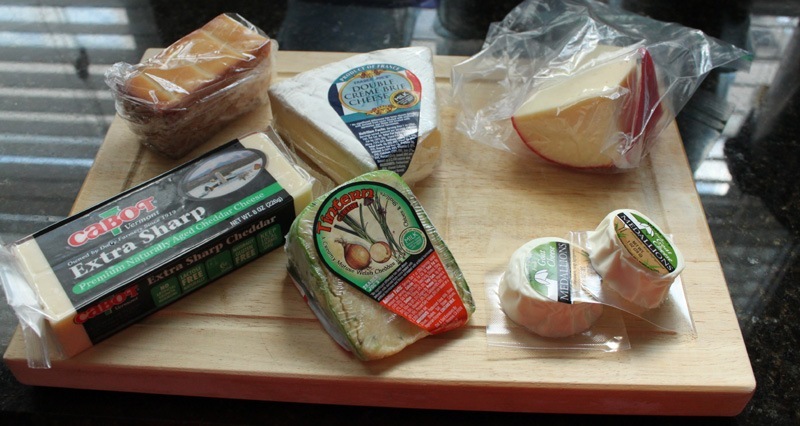 You don’t need a lot to create a restaurant quality cheese plate at home. We always have an abundance of cheese in fridge (a weird obsession of John’s) so at any point in time we are armed to fix up a professional looking cheese board. The inspiration for this weekend’s cheese plate was the amazing one we had at The Observatory in Portland, Oregon on our honeymoon. Man, almost 5 months later and I’m still thinking about it. 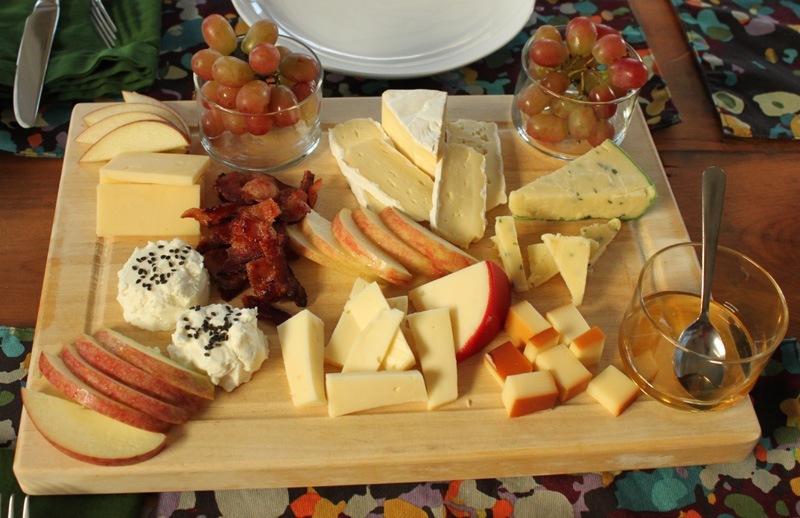 First things first, you need a cheese board, a cheese slate, or just a big platter. We have all of those things and yet we use an old wooden cutting board for our cheese plates most times. It’s well worn but provides a rustic look that we like. The main essentials, of course, are your cheese. I recommend showcasing 2-5 different types of cheese on any cheese plate. 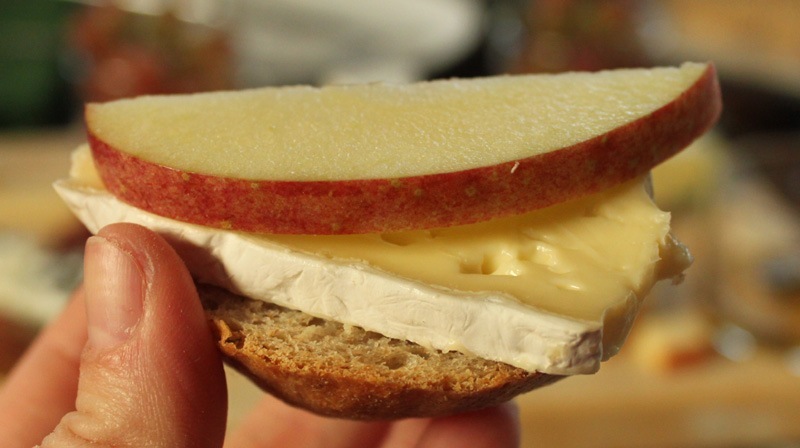 Here I used 6 because I forgot about the smoked cheddar we bought at Cider Hill Farm while apple picking last weekend. For this cheese plate I used a smoked mozzarella, brie, fontina, goat cheese, extra sharp cheddar, and a Welsh cheddar. 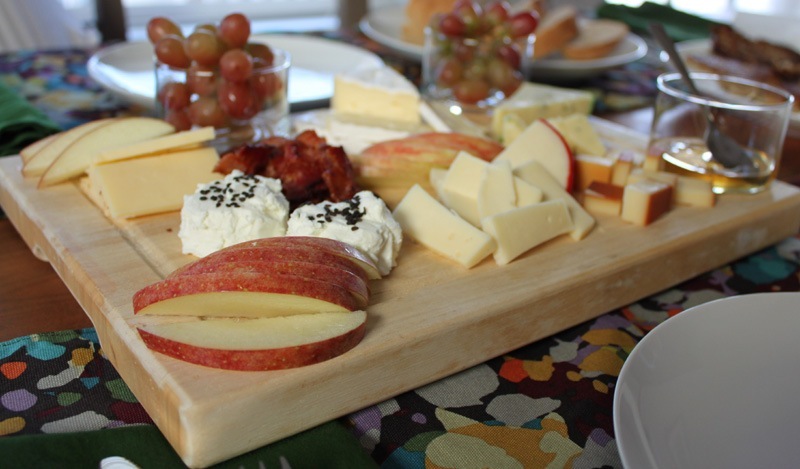 The next thing you need on your cheese plate is fruit. I knew I wanted to make a full on cheese board after we went apple picking this year because I love how apples and cheese pair together. 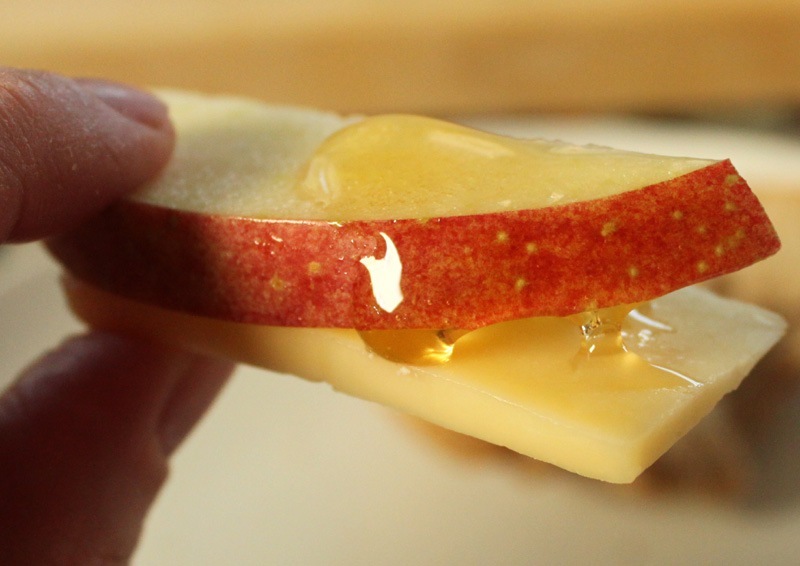 I thinly sliced one apple and arranged it around the cheese. 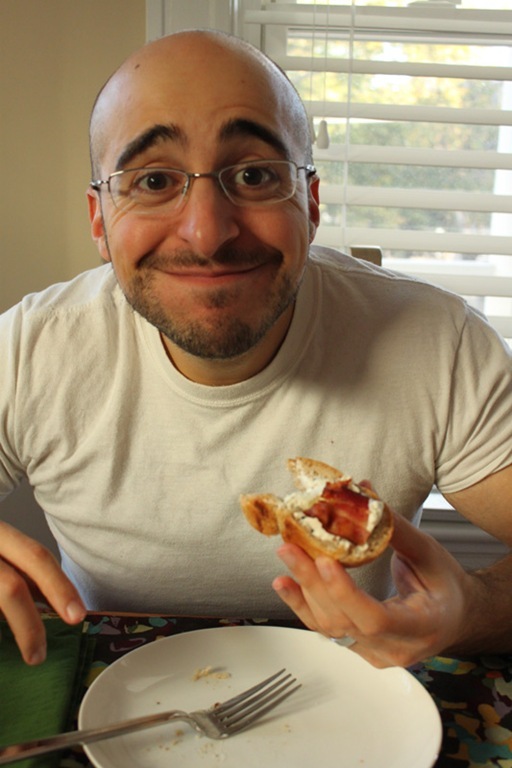 I also incorporated some fresh seedless red grapes because I love their bite and sweetness. You could also use pears or strawberries too. You can add a whole mess of other finishing touches as well. Here I added a little bowl of honey, some hot crispy bacon, black sesame seeds on top of the goat cheese, and baked a whole loaf of sourdough bread for spreading and piling. Man, that sounds so good. All we have in the house for cheese at the moment is regular cheddar and the individually wrapped slices of American that we tear up in pieces and use as dog treats. I see a grocery trip in my future! Definitely! Such a good weekend treat!